Multi-Turn is a family run business, based in Winchester, Hampshire, creating stairs for the trade and private home owners since 1989. We pride ourselves on manufacturing some of the best quality timber staircases in the south of England. Our team will guide you step by step throughout your staircase journey, from initial ideas right to the delivery of your staircase! We are committed to ensuring your Multi-Turn staircase takes pride of place in your or your client’s home, for many years to come. At the AlpineGroup we have developed a strong business infrastructure. 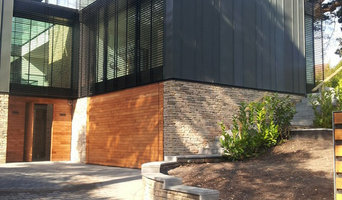 Planning, project management and installation are all delivered with a high degree of efficiency and professionalism by our management team, and this allows our craftsmen to do what they do best. Modern technology is used where appropriate to support the traditional craftsmanship that is the mainstay of our activities. Our installation team undertake critical tasks such as marking out, drilling and fixing steelwork. From the initial design, through to the tiniest detail, we are passionate about quality and individuality. We even have a proprietary finishing process to replicate the effects of ageing with an authentic rustic look. The projects and products featured on this site offer a glimpse of the capabilities of the AlpineGroup. 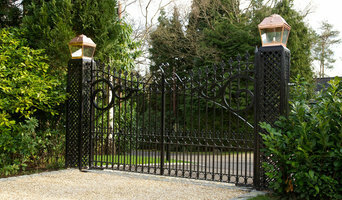 Whatever the nature of your building project, you’ll find that our expertise in steel is unmatched. A Fast, efficient steel fabrication service Here at MORTEC Fabrication, we’re proud of our services and level of professionalism. We know that you want a no nonsense, fast, efficient service, and that’s exactly what we aim to provide with our steel fabrication services. 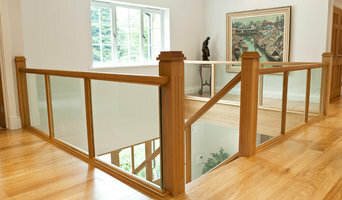 Why should I hire a Southampton, Hampshire staircase designer or builder? They may look like a simple set of steps, but staircases can actually be quite complex to construct and so staircase refurbishment should be left to the professionals. Even seemingly simple fixes, such as replacing stair spindles, can be tricky if you’re not familiar with banister structures – banister installers or staircase manufacturers in Southampton, Hampshire will be able to carefully replicate and replace any old stair spindles efficiently for you. But what if you don’t even want stair spindles for your banister? Maybe you don’t even want a banister at all but instead want a floating staircase or just a handrail on the side of the wall? With staircase designers and manufacturers in Southampton, Hampshire, the sky’s the limit and there are all sorts of staircase designs to choose from. 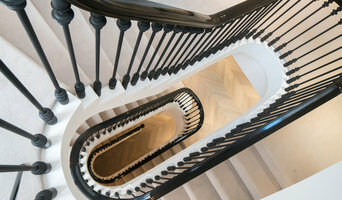 If you want the ultimate modern look, glass staircases with matching glass balustrades or balconies will be clean and sleek, while cast iron spiral staircases will evoke a vintage edge to your room, and straight, wooden staircases with traditional newel posts are classic pieces in every house. The type of staircase you choose may depend on space and practicality, but if you have the scope to take your pick, there are a number of different staircase shapes – straight and spiral, naturally, but then also quarter and half landing, and winder and double winder staircases. Speaking to staircase manufacturers in Southampton, Hampshire and the staircase designers themselves will help you decide on the style and materials you want to use, and they may be able to come up with a unique stair design that will become a design element all of its own. Stair renovation can be a big project and it is always important to make sure your stairs are safely installed and safe to use, so talk to any prospective Southampton, Hampshire staircase manufacturers about when you should have your stairs put in and how they will be installing them. You might want to have your contractor, builder or architect collaborate with your staircase designer or installer to make sure everything goes smoothly. Here are some related professionals and vendors to complement the work of staircases & railings: Architects & Building Designers, Interior Designers, Carpenters & Joiners, Design & Build. Find staircase manufacturers in Southampton, Hampshire on Houzz. Narrow your search in the Professionals section of the website to Southampton, Hampshire staircase designers and manufacturers. You can also look through Southampton, Hampshire photos to find examples of staircases that you like, then contact the contractor who worked on them.